As I said in my last post, I’m digitizing old family artifacts. 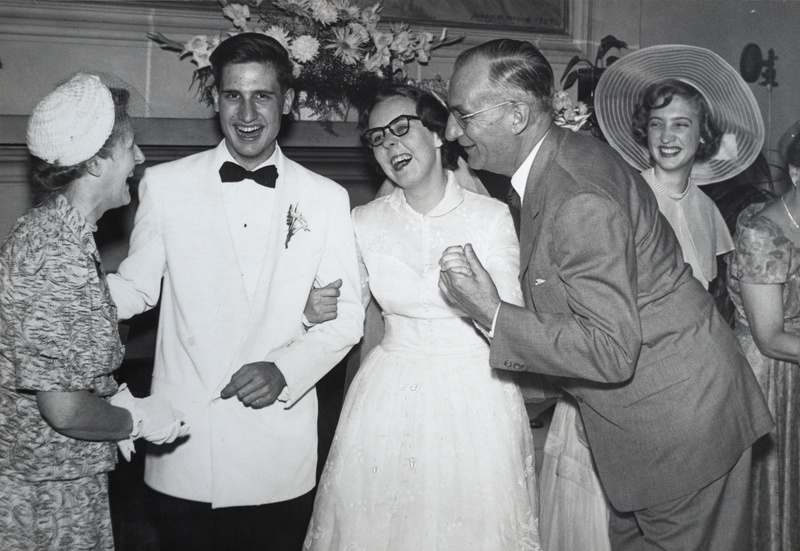 Today’s share is my favorite photo from my parents’ wedding, in 1951. I love that everyone is laughing.